Seattle Public Utility (SPU) household customers can set out extra yard waste for free this month to keep fall leaves out of drains to reduce the risk of flooding. SPU provides this incentive to encourage residents to help keep storm drains clear of fallen leaves. Residents can put out up to 10 extra bags of yard waste per household. Extra yard waste must be in paper bags or in an extra container that contains only yard waste. Fallen leaves can block storm drains and lead to flooding in neighborhoods. 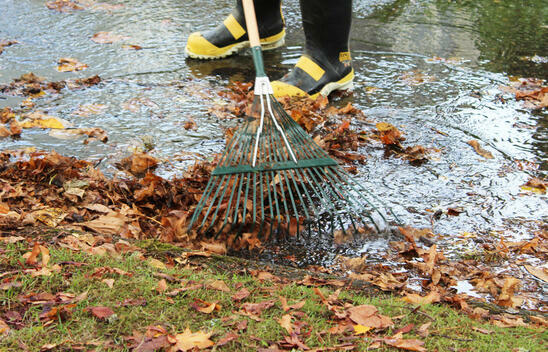 Raking leaves and keeping drains clear helps to prevent unnecessary flooding. As leaves continue to fall, residents are encouraged to check and clear their drains to keep the water flowing. • Avoid leaving raked leaves near the street where they can wash or get blown into nearby storm drains. Instead, collect them in your yard waste bin or kraft paper yard waste bag. • If you use a leaf blower, make sure to collect the leaves and put them in your yard waste bin - don't blow them into the street (this is not allowed per City code). Report clogged drains and flooding to SPU at 206-386-1800. And for more info on how to prepare for winter storms, go to TakeWinterByStorm.org.